Improving your ecommerce is a never-ending job. Just when you think you have addressed an issue or gotten ahead of the search engine game, something new comes along and throws you a curve ball. For instance, when you’ve tried your best to promote your eCommerce site in social media, problems with organic search will show up. However, while there are always opportunities to learn more about eCommerce as well as how you can do it better, here are some constants that you will always want to be focusing on. 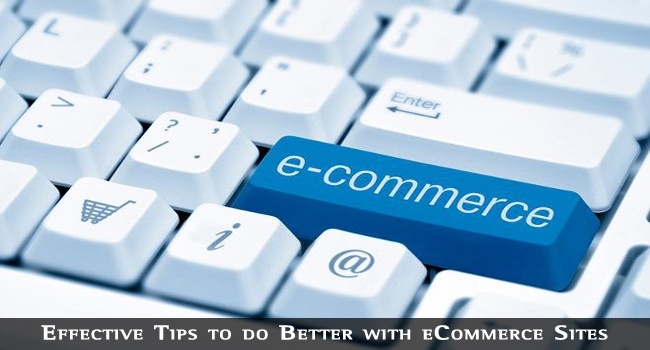 We are sure that using these steps will help you in improving eCommerce business of yours. Your customers cannot buy from you if they do not know that you exist. Invest available funds into advertising via search engine optimization, social media, pay-per-click campaigns, banners, and sponsored placement on famous blogs. Pick traffic sources that are relevant to your customers, and use them to draw your target market to you. You have to know most appropriate sources of traffic before you start advertising through blogs. For instance, there is no point in grabbing from a technology-based blog if your eCommerce site does not even think about selling those kinds of products! Cut back on the things you do not need, so you have more funds for the things you do need. Start with stock. Find ways to make the cost of your stock less. Purchase more at once in order to low individual per-unit cost, or strike up deals and co-operations with the manufacturers and wholesalers you work with. Remember, the less you pay for a product, the more mark-up you will have available. Since one of the popular reasons to prefer eCommerce sites to general stores is affordability of products, you can increase chances of your eCommerce to hit favourite-list of users. Make sure you’re the one-stop shop for your customers. If you sell diaper bags, you should also sell backpacks and messenger bags for older babies and toddlers. If you sell computers, sell cords. If you sell printers, sell ink. So, your customers will not have to log onto another eCommerce site to get product accessories. In other words, you have to offer everything your customers could possibly need to get the full use out of your products, and you will keep them shopping within your store. When you have included most of such products, you can even use some widgets or tools to give user-based recommendation, which will have awesome effect in increasing sales and popularity of site. For instance, if I have bought a superb Smartphone from your store, I will be glad to see recommendation of covers for that Smartphone nearby, simple as that. Streamline your checkout process as much as possible. Don’t make customers register in order to checkout. Alternatively, you can set up an option to provide their email ID and deliver checkout invoice to their email ID once they have finished payment. Accept credit cards, debit cards, net banking, PayPal and all other kinds of reliable payment methods that users love to use. Moreover, make sure you ship within one to two business days, and offer priority-shipping options for customers who need their purchases quickly. If you offer quicker shipping speed, users will obviously prefer your site to others in market. To do so, however, you will have to have tie-up with top quality courier services (Or, perhaps, use something like Drones). Even though it might be expensive, quick shipping period is damn attractive, indeed. Customer service is damn important when it comes to eCommerce websites. It is usual that your users may confront a number of issues while using your site to purchase favourite product. 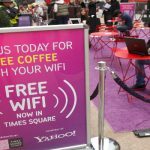 So, you have to set up two or more options to interact with your customers and offer help to them. It does not matter how good a product selection you offer or how low you price your products, if you cannot back up your offerings with great people who treat your customers with respect, then you are going to lose out of business. Most probably, you can set up a toll-free number or live chat system to treat your customers. In a few weeks or second, if you have implemented an effective system, you’ll understand real importance of great customer service. Lowering the cost and providing them in cheap price where the customers can’t find such cheaper products anywhere would be really awesome idea to attract more customers. Great post. I thought of starting one e-commerce site ( kind of niche site ) to sell ayurvedic products. This post gave me few valid information on promoting ecommerce site. Informative post, I must say. With the coming of flipkart and myntra like e-commerce websites, especially when developed by Indians, lots of folks are taking interest in making their empire online with e-commerce sites. Flipkart became so popular only due to selling products at a cheaper price than the market price. Thanks for the valuable tips. I completely agree with your points. I think if people are involved with you on an emotional level, they will be much more likely to refer friends and family to your business, as well as talk positively about your brand. Your blog post is very nice and very helpful for all eCommerce site. Provided tips are also good. Really, we should take care about our customer and we should provide convenience them. Thanks for sharing this informative blog post. This blog is really written well with the consideration of eCommerce business aspects. Online establishment of business is easy but it take lot effort to make it successful. The tips above are adorable to move further to get benefits. Hi , what do you think about taking away the pain of filling up lengthy registration/sign-up forms? Because it is found to be one of the reason for cart abandonment, low user engagement, low conversion etc. So i guess if we use social login on our website these things can be taken care of and also visitors will be happy. I completely agree with your points. I think if people are involved with you on an emotional level, they will be much more likely to refer friends and family to your business, as well as talk positively about your brand for sure. Thanks for your awesome measures to consider before building an e-commerce site. I may be building an e-commerce and I will bookmark this article for further reference.